Piano Keys Table Runner – The Piano Keys Table Runner makes for an elegant accent piece for any music-themed party or event. The runner has a glossy finish with both ends having a tassel hanging from its triangular shaped edge. The polymer runner is reusable and also be used as a banner. A cool and fun way to jazz up any musical celebration! Made of thick paper. Size 6″ x 11″. 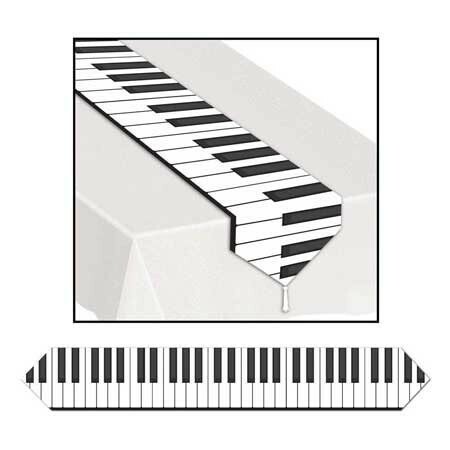 Piano Gifts for Piano Players! If you’re having a music party, this is a great way to decorate!